I can't get Brody to smile for pictures lately. 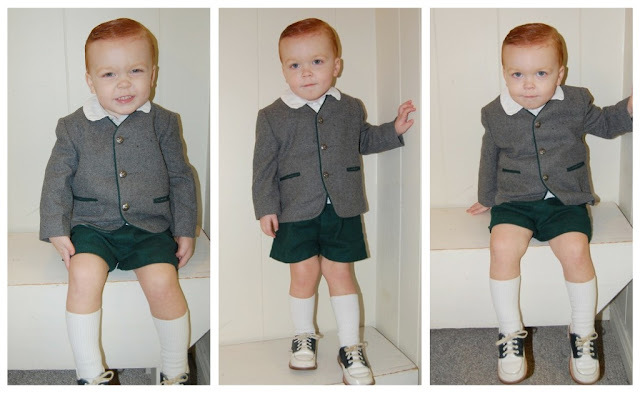 This little wool suit was his cousin's from years and years ago. Oh my gosh! That outfit is adorable! He, he, he. Totally thought of your styling Sunday posts during church this week. Little H, who is 4, came to church in his white dress shirt, black, grey and red sweater vest with a yellow and blue tie. The best part? He was wearing his tie on the outside. The outfit reminds me of the sound of music for some reason.